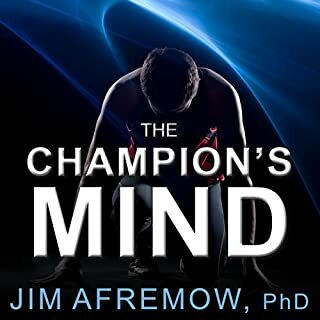 Would you listen to The Champion's Mind again? Why? Yes, I listen to it frequently. While not an athlete, I find the concepts in the book very effective at keeping me focused and motivated in my work and life. What other book might you compare The Champion's Mind to and why? Win Forever, by Pete Carroll. More motivation and concepts to achieving greatness. Would you be willing to try another one of Eric Michael Summerer’s performances? Yes, but I'd prefer other narrators. Eric's narration is clear and understandable, but often sounds a bit mechanical and unnatural. Sometimes it's as if my computer is narrating for me. Would be 10/10 if the narration were a bit better, but it's not so bad. I still listen to it frequently.